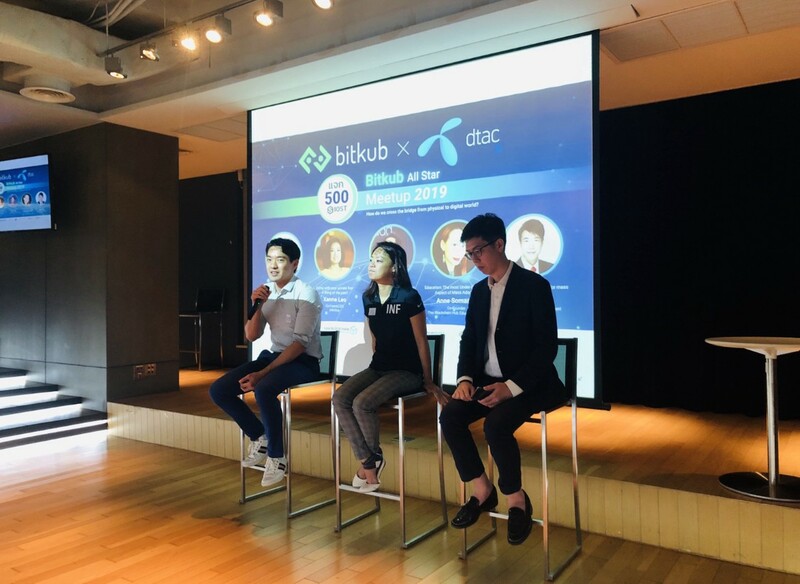 Bitkub hosted its second 2019 Blockchain and Cryptocurrency event featuring the core question “How do we cross the bridge from physical to digital world?”. Co-hosted by DTAC Accelerate, the biggest start-up incubator in Thailand, the event was widely received with a total of 100 attendees. Bitkub also invited on board its 6 Thai media partners, namely, Siam Blockchain, Cryptonist, Bitcoin Addict, Asia Blockchain Review, Bee Cast, and Blockchain Review. “Bitkub All- Star Meetup” live up to the expectations as Bitkub indeed brought quite a few stars in the cryptocurrency industry from all over the world. Oscar Wei, the Global Operation Manager of Cortex shared his insights about “AI on Blockchain Ecosystem”. The Cortex platform provides Artificial Intelligence (AI) on Blockchain. It is a decentralized platform which supports AI smart models and AI executions. Cortex AI Model platform aims to boost applications like AI DApps by providing an open-sourcing of AI. If a smart contract is being used, the model owner will be paid in CTXC ERC-20 Token. With the growth of the community there will be a bigger and better variety of DApps and Smart Contracts in the future. According to Oscar, several AI models are already existing. As example there was Uber and Grab, where the app is already calculating the price of the the transfer for the client before it went into the transportation vehicle. Netflix is giving you suggestions depends on the movies you have watched previous. Amazon uses a AI recommendation on articles which you have searched for in the past to make a better shopping experience.